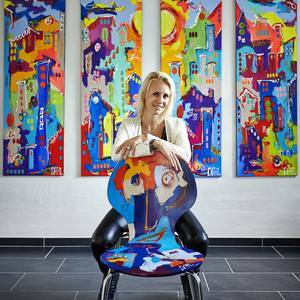 Young artist and gallery owner, live in Denmark, more than 12 years of experince as and artist. Modern art. Clean and bright colors. Ordering and decorating tasks for indivuals and Corporations. My art is already hanging in following countries: Denmark, Germany, Norway, Sweden, Austria, Nederlands, USA, Switzerland.